Green slimer growth, January 30th to today. Not sure if this is considered fast, slow, average etc.. but I'm happy with it considering was my first acro. Have two others in the tank that are both growing as well, albeit slower. Early morning water change. 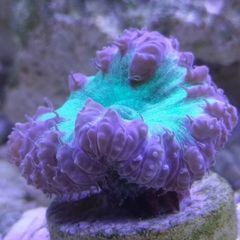 Added a few zoa frags from high tide coral last week. Everything running smooth so far. Quickly finding out how much of a pain the location of this tank is, only have a few inches above to work with. Rigged up a watering can for adding water, waiting on a magnet cleaner so I can actually clean the glass properly. Cheapo 10w heater is keeping the temp at 75°, which is colder than my other tanks but should not be an issue. My plan with the tank is to grow a bunch of zoas/acans/duncans with minimal daily maintenance. Hoping 100% water changes every 5-7 days will be sufficient without mechanical or chemical filtration. Nope, but I will fight my dog over peanut butter! Hoping to get it filled tonight! Clean up crew. Snails, crabs etc.. I have two acans that I've had for 9ish months. I bought one with 3 heads and one with a single head. 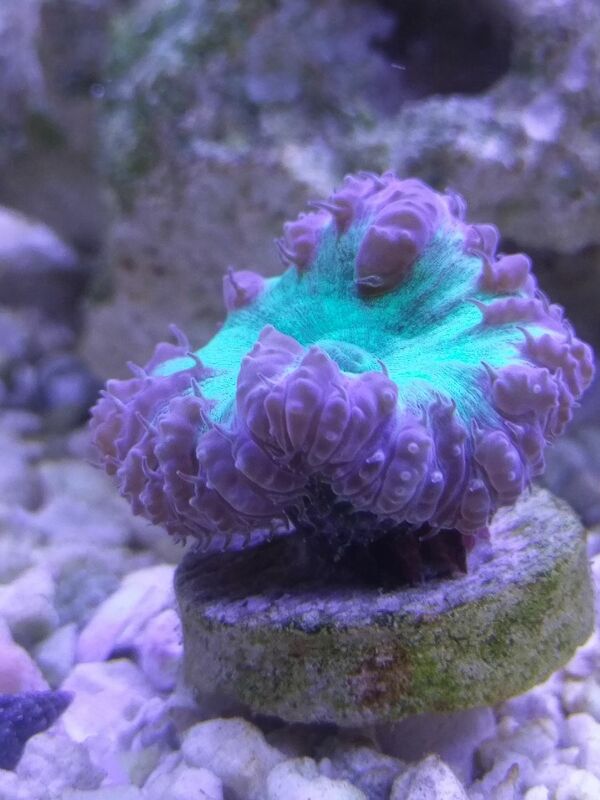 Neither grew at all until I started consistently feeding them reef roids. Now the single headed one has 4 small heads growing around it and the other one has grown about 15 new heads. I bought another set of acans a few months ago, one with 5 heads and another with a single head. Same feeding as the other and the single headed on has grown 5-6 new heads while the other one has only grown one new head. So in my experience it seems to depend on the variety of acan, but feeding is definitely a must to see any growth. @HingleMcCringleberry Penn State! Greatest name I've seen on here.